Easter isn't for another two weeks. I know this. 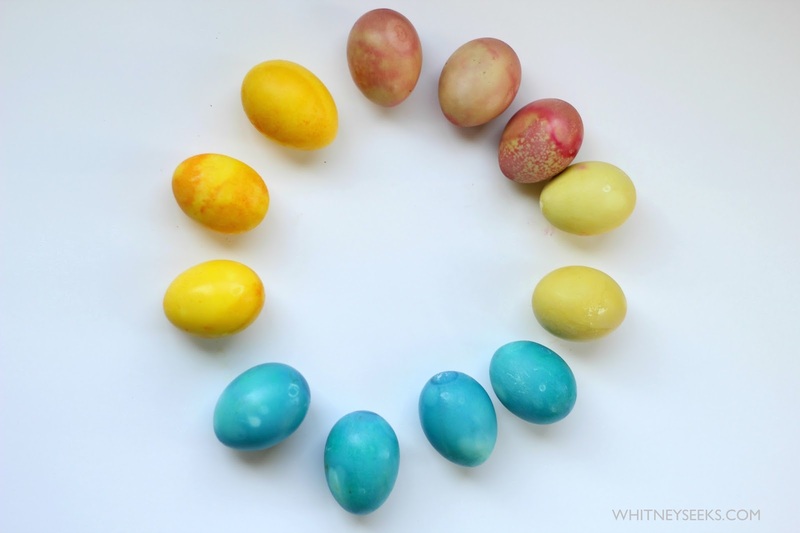 We had some time over the weekend, though, and I figured it was now or never for egg coloring. I like to maintain a low stress level around holidays, and so items on my list of Holiday Fun I'd Love to Have regularly don't get put into action in an effort to maintain some semblance of sanity. In years past, coloring eggs either gets pushed back into the week after Easter, if it isn't crossed off completely. My kids are young and they don't really care, except for the fact they now remember everything. Of course, this would be the year they look back on as adults, devastated we didn't take part in the time honored tradition of coloring hard-boiled eggs with fizzy, smelly artificial dye. I mean, who am I to deny them that? Well, aside from the fact that I avoid artificial coloring everywhere I can, and especially in or around food that my children eat. Vinegar, though. Two thumbs up. So what do you do when you want to give your children an Easter experience as authentic as it is secular? Look no further than the produce section (and well, okay, spices). The natural coloring of whole, natural food is unreal. 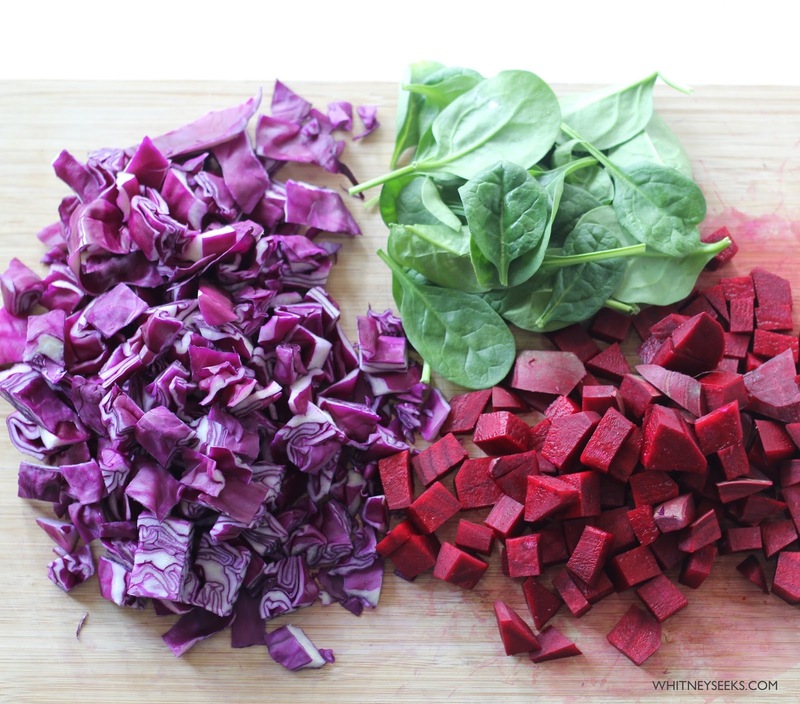 Every single time I grab a cabbage or chop up a beet, I wonder, like the nerd I am, why on earth anyone would want something artificially colored when real food is so vibrant. And it isn't that it grows so vibrantly. It stays that way. Have you ever tried to scrub beet juice off a toddler's face? Or out of your carpet? Or turmeric from a scalp/fingers/anything it touches? It's only natural to consider putting them to work dyeing eggs. I wanted to keep it simple, so I chose a total of four ingredients: cabbage for blue eggs, beets for red, spinach for green, and turmeric for yellow. This may or may not have been influenced by what I had in my refrigerator. Add cabbage to a saucepan and cover with water. Add one to two tablespoons vinegar to each (the more vinegar, the deeper the hue). Bring to a boil, then reduce heat and let simmer 20-30 minutes. Using a strainer, remove the cabbage, retaining the water. Add eggs (boiled, unless you're into taking risks, I guess). Leave for anywhere from 20 minutes to a few hours, depending on your desired results. Repeat steps for the beets and cabbage. Or do it all at the same time if you're feeling efficient. I let my kids put the eggs in, and I took them out before I went to bed. In total, they sat about four hours. 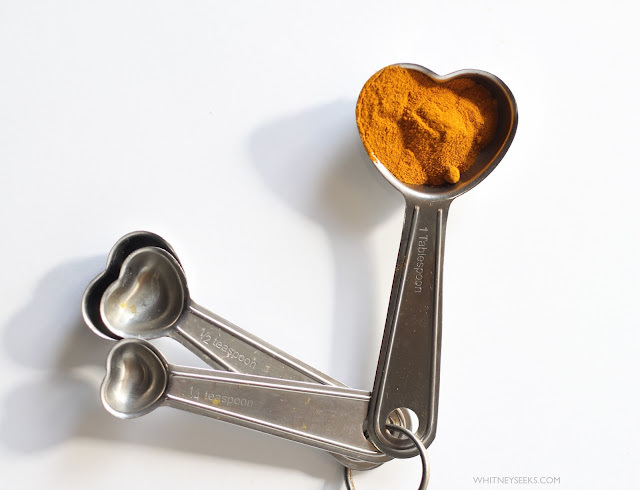 Add turmeric to hot water, stirring to dissolve. Add one to two tablespoons vinegar, stirring again. Add eggs and leave until desired results are achieved. I didn't rinse the eggs after I removed them from their dye bath. Initially, the red was deep and striking, but when I checked on them the next morning, I found it had lessened quite a bit. The blue is possibly my favorite. I left one yellow and one green in their dye baths overnight in the refrigerator to see if it made a difference, but it was hardly noticeable, if at all. I'm curious to try again to see if I can't get the rich red to stay, but overall, I'm fairly satisfied with the results. Oh, so are my kids. I'd love to hear if you give it a try, or if you have any tips to get the beets to work better.